Matt Dobson of the Vinyl Siding Institute joins the Green Gab today. Matt and Matt work together on the NAHB (National Association of Home Builders) subcommittee on Sustainability and Green Building which Matt recently chaired. Green Gab Podcast | Green Isn’t Uncommon Cents! Do you wonder how common sense doesn’t seem so common anymore? So to the internet I went for a little more digging and I found an article about eight steps to develop your commonsense further. Gabbing with Kellye Markowski with Energy Smart Homes - a residential and commercial energy audit provider and project management. Using resources – materials and products - wisely is a key practice of green building and includes practices ranging from optimizing use of resources to choosing durable materials that will stand the test of time and offer lower maintenance. Building or finding your dream home is a goal for many of us. For me it is building or renovating the green home of my dreams. So, it is important to understand not only how to pay for our dream home, yet also how to plan for it. All of us want to breathe well in our homes. Yet often, the indoor air quality or the indoor environment, may not be allowing us to breathe as well as we want. There are immediate actions all of us can take to breathe well in our homes. Gabbing about lighting and how it is brilliant – both in beauty and practicality. 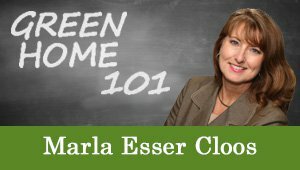 A basic understanding of the energy efficient practices and features in a home and the anatomy of a typical green home provides a starting place for understanding the terminology used when building an energy efficient home.